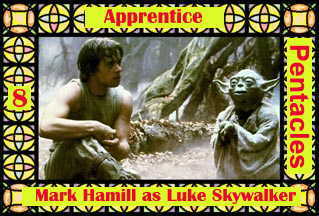 Luke listens to Master Yoda. If your goal is to be a Master, you must first be a student. Learn as much as you can from your Master, and cherish those teachings. The Apprentice will experience many teachers before achieving Mastership. This is necessary, because you can't have true understanding of your field unless you've seen it through a variety of eyes.